Allow the color experts at Agoura Paint help you explore the freshest color schemes and ideas for your home. See the latest home color trends and get your inspiration on! Each year, the color experts at Benjamin Moore create exciting new color palettes inspired by emerging trends in art, fashion, and interior design from around the world. We invite you to explore the freshest new color ideas for your home with Color Trends 2015. See stunning color schemes for your home, before-and-after room makeover photos, and inspiring room transformation videos. 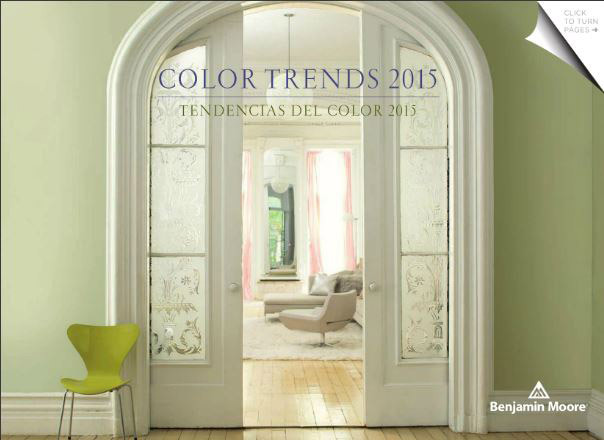 Come in and talk to one of our team members or View the interactive Color Trends 2015 brochure.